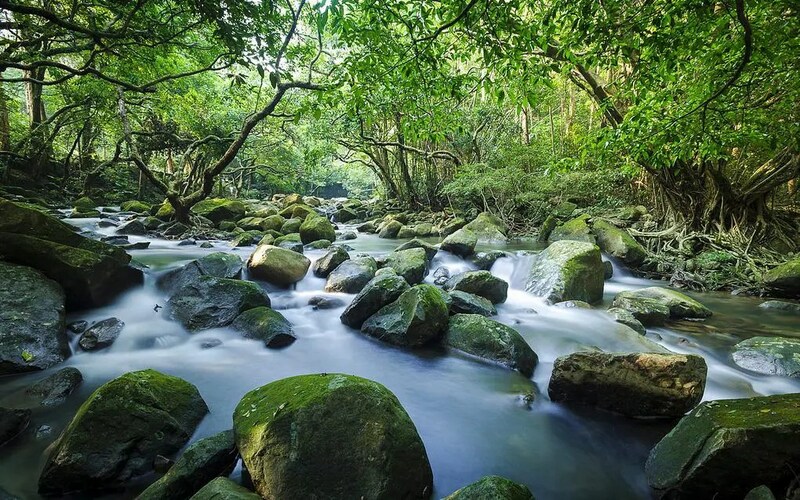 Tai Shing Stream is one of the nine streams in Hong Kong where hikers spend their summer most often due to its easy accessibility. Its origin is at Tai Mo Shan and is the major source of water for the Shing Mun Reservoir. There dozens of waterfalls along the trail for hikers to swim and enjoy the summer. Water flow is best after a good week of rain, but not easy to go over. To get there, take minibus 82 at MTR Tsuen Wan station and get off at the terminus, Pineapple Dam. Follow the Pineapple Dam Nature Trail and after around 40 mins walk, you’ll see a bridge going over the Tai Shing Stream. Turn left before the bridge and get into the stream. It takes around 3-5 hours to finish the whole trail. Every year, the stream has claimed casualty. So be careful and respect the nature. Another easy stream trail is Bride’s Pool at Tai Mei Tuk.